A gorgeous menu board really ! The bright multi-colors present a vibrant setting. The five –course menu is well advertised. 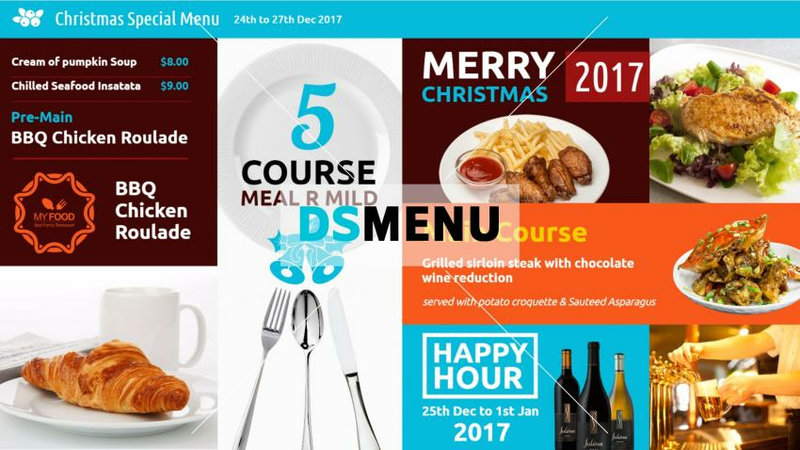 On a digital menu board this template will be the talk of the town ! Further, digital software will enable you to promote specific items at real times, such that you can maximize your margins.